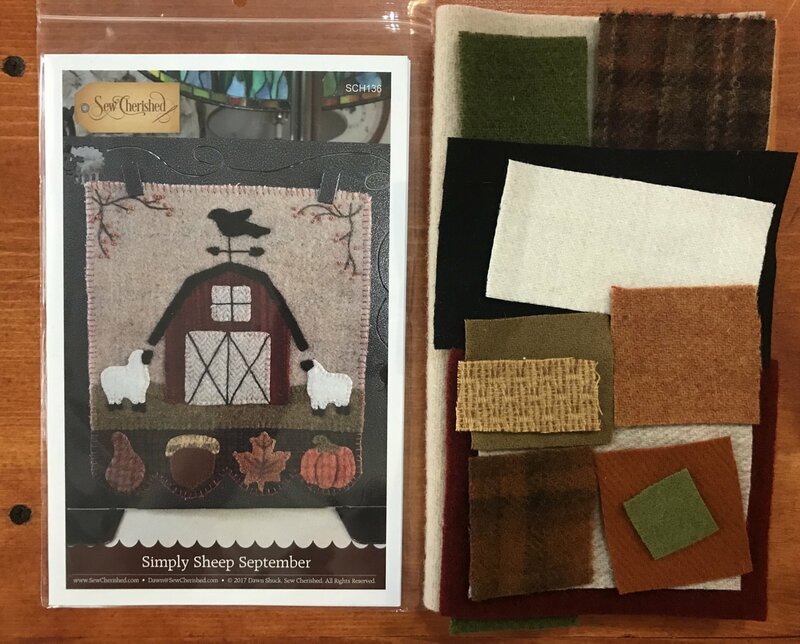 Sew Cherished's Simply Sheep September kit includes pattern, wool for front of project, and a backing. Floss not included. Finished size 8"x9".